The phone performed well in almost every category except durability, where it didn’t hold up as well as the iPhone 8 and 8 Plus. After tumble tests, two iPhone X devices had “malfunctioning displays” and a third device had a “significantly cracked” back. The iPhone X isn’t the best iPhone you can buy, according to Consumer Reports. On Tuesday, the publication published its results from testing the iPhone X’s display, camera, battery life, and durability. While Consumer Reports called the phone an “innovative device with a fantastic camera and beautiful display,” the iPhone X lost to the iPhone 8 and 8 Plus in a full comparison of the phones due to the X’s durability. While the phone made Consumer Reports’ list of top 10 smartphones, the iPhone 8 proved “hardier” when it came to drops and damage. The iPhone X performed well in the initial drop tests, but it didn’t fare so well after more extensive testing. The iPhone X performed about the same as two other flagship phones, the Samsung Galaxy S8 and S8+, Consumer Reports said. But Consumer Reports’ findings differ from other iPhone X and iPhone 8 drop tests. In drop-test videos by EverythingApplePro,PhoneBuff, and JerryRigEverything, the iPhone X was found to be more durable than the iPhone 8. And drop tests published right after the iPhone 8 and 8 Plus released in September showed that the phones were more durable than Samsung’s flagship phones, but still prone to easily cracking and shattering when subjected to drops or tumbling. 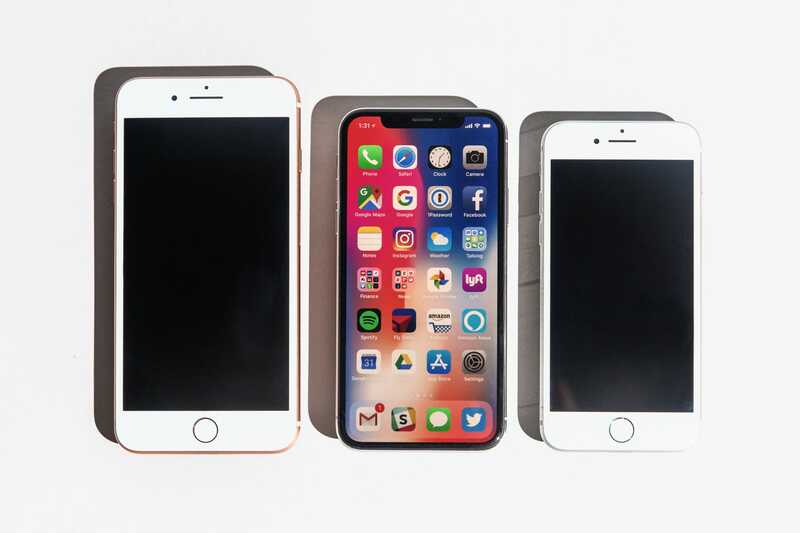 Plus, as the first all-glass phones Apple has made since 2011, all three new iPhones are likely to be more prone to breakage than their aluminium-bodied predecessors. But it’s not all bad news for the iPhone X: While its battery life is much shorter than the Galaxy S8 and 8+ (19.5 hours versus 26), it still gets about an extra 30 minutes of battery life compared to the iPhone 8.